The beautiful city of Plasencia (neighboring Cáceres) in Extremadura is now the backdrop for important era films, among them the globally-famous TV series “Game of Thrones “. But that is something temporary. What is permanent and constantly growing up is International Youth Film Festival Plasencia Encorto, which takes place in this city. Actually, two Festivals are taking place at the same time: the National Short Film Festival and the International Youth Film Festival. Plasencia Encorto is organized by «24 Fotogramas», a group of enthusiastic people, with the support of the Municipality of Plasencia as well as Extremadura local authorities – La Junta de Extremadura . At the 4th edition of International Youth Film Festival (March 16 to 18, 2017), Camera Zizanio had a great representation. Two films from Greece participated at the competition section: the film “Shelter” by the 1st High School of Komotini, and one more from Olympia Festival’s film workshops, “Last days in school”. Kyriakos Haritakis, our collaborator, run a workshop on special effects. 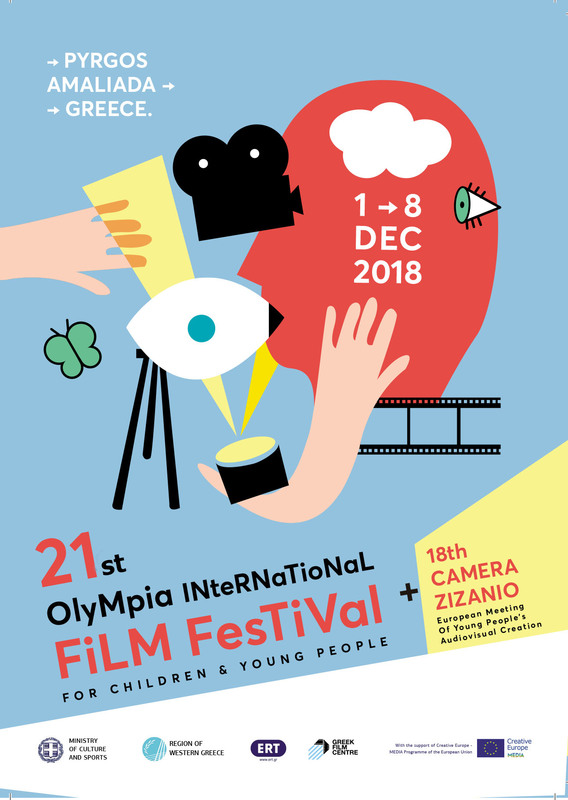 During the screenings, Nikos Theodosiou and Kyriakos Haritakis presented Olympia Film Festival for Children and Young People and Camera Zizanio. The brilliant closing ceremony delivered a surprise for the children from Komotini, as their film won the “Award for promoting equality and non-violence.” This film has also won the “Greek Ombudsman” award in 16th Camera Zizanio. The film was represented by the students Sotiria Ioannidi, Vassileia Gavriilidou and their teacher Neoklis Lemonidis. Please note that the trip to Spain has funded be the Municipality of Komotini, decided unanimously by the City Council. Something that will hopefully be imitated by other municipalities and will allow children from Greece to travel abroad, attending several festivals that Camera Zizanio cooperates with, and also ensures participation and invitations.